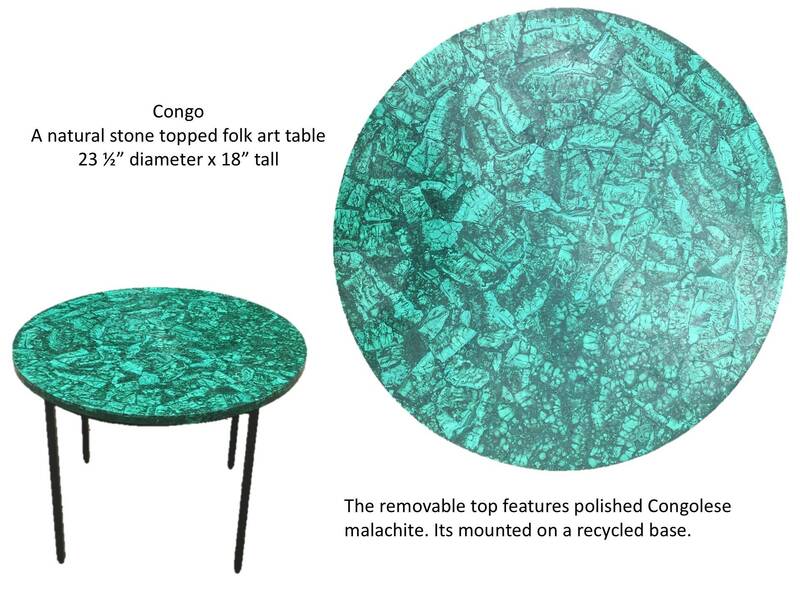 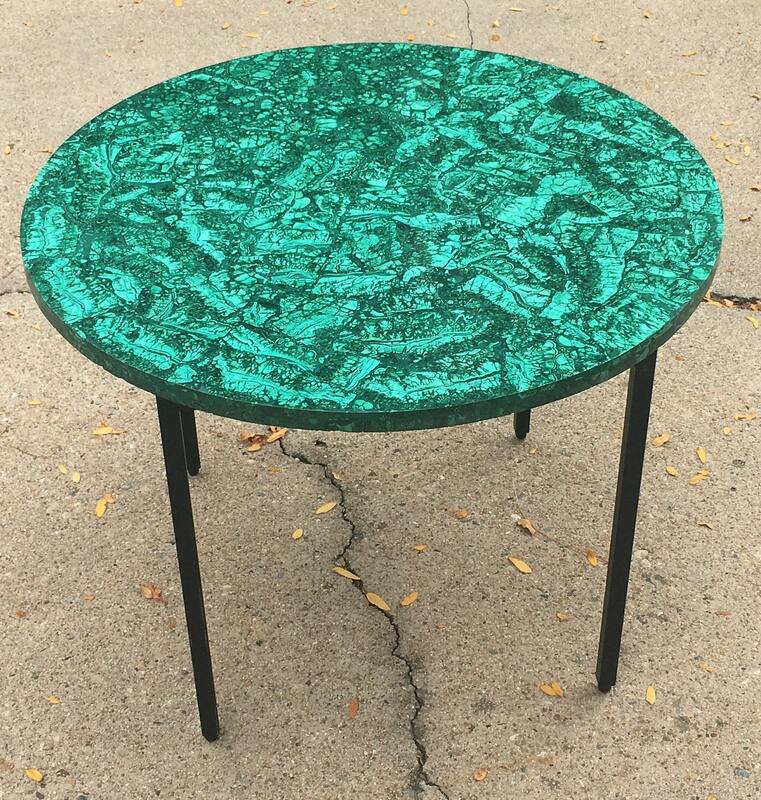 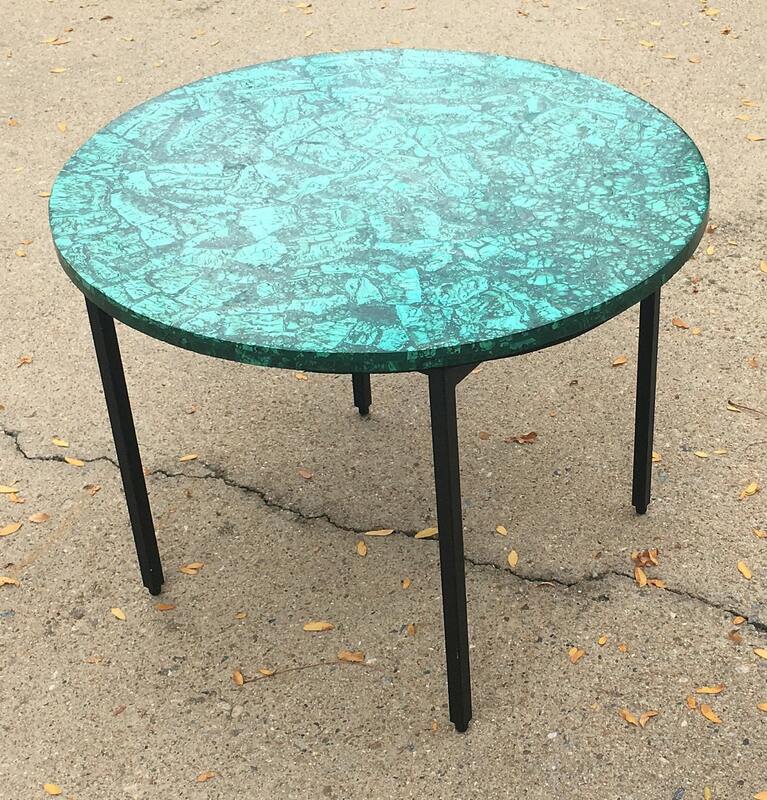 Congo: A 23 1/2 diameter x 18 tall folk art accent table featuring a slab of composite malachite from the Congo. 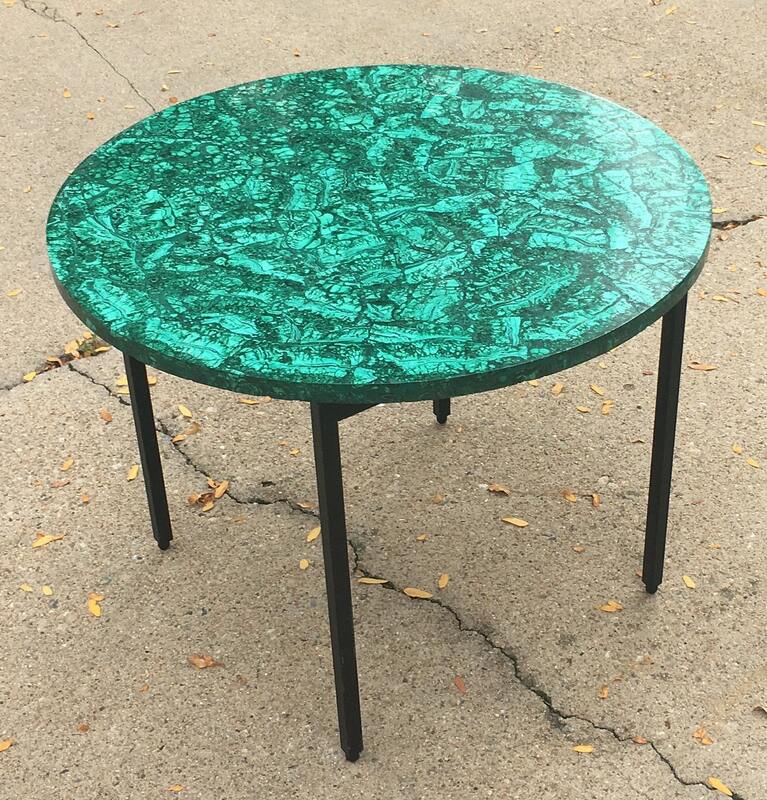 Congo: A 23 1/2" diameter x 18" tall folk art accent table featuring a slab of composite malachite from the Congo. 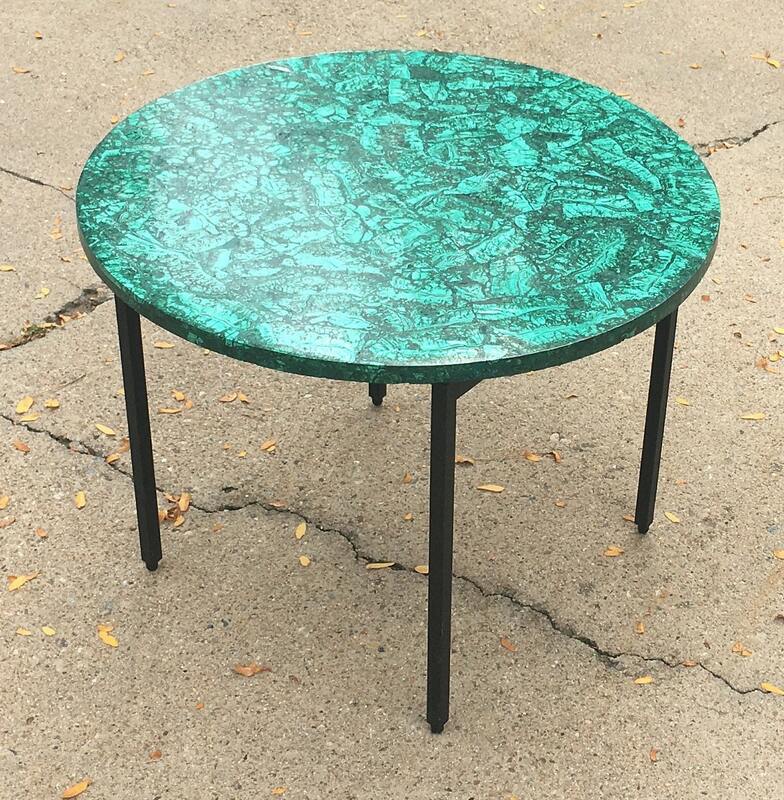 This 23 1/2" diameter x 18" tall natural stone topped folk art table features a top of composite malachite from the Congo. 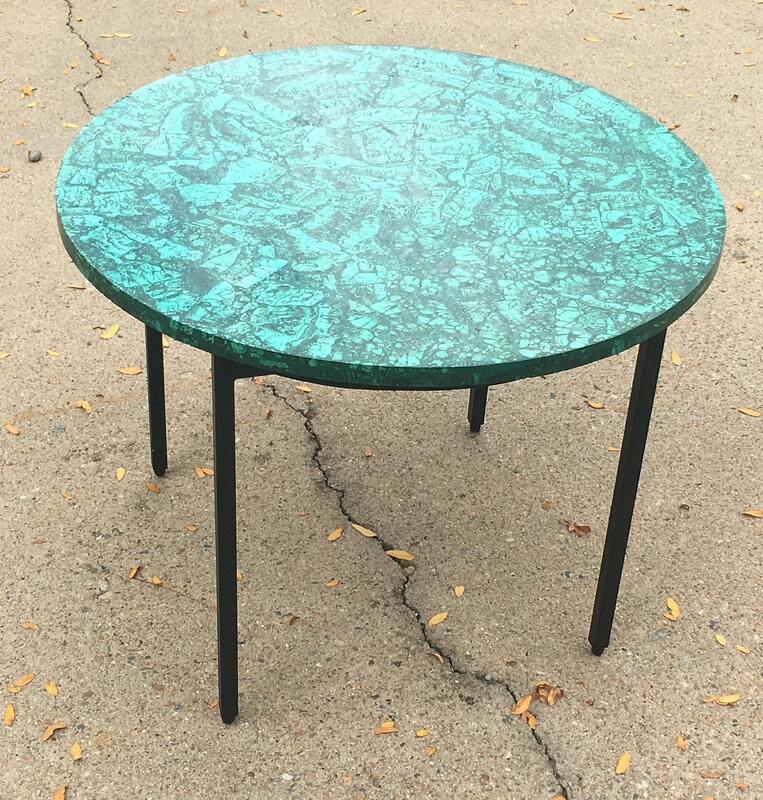 The top is removable and sits on a simple recycled steel base. 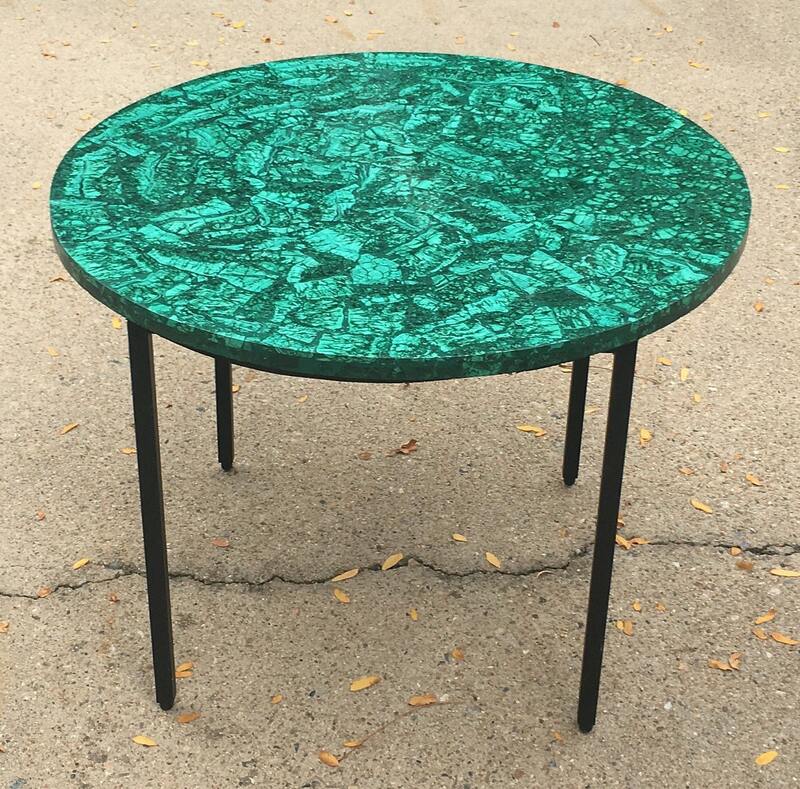 Use this as a coffee table, end table, or entry way table. 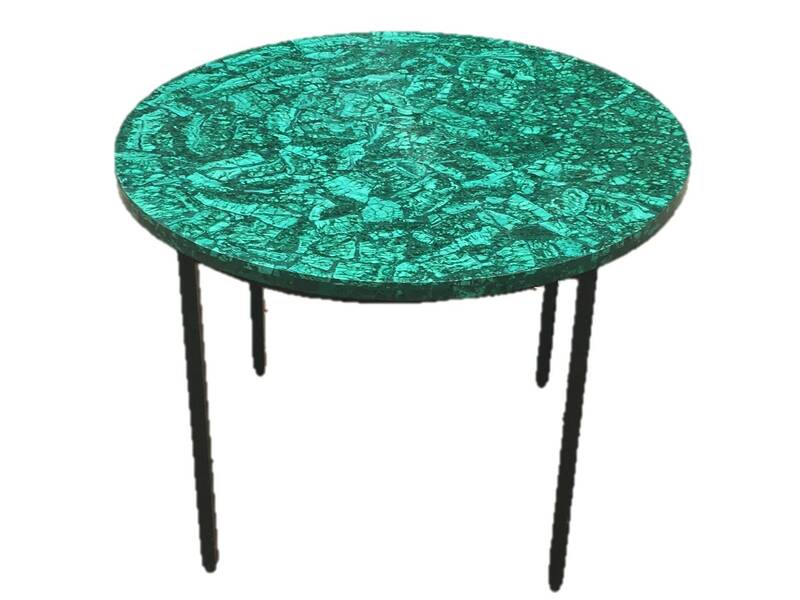 Wherever you use it it will 'pop' the room. 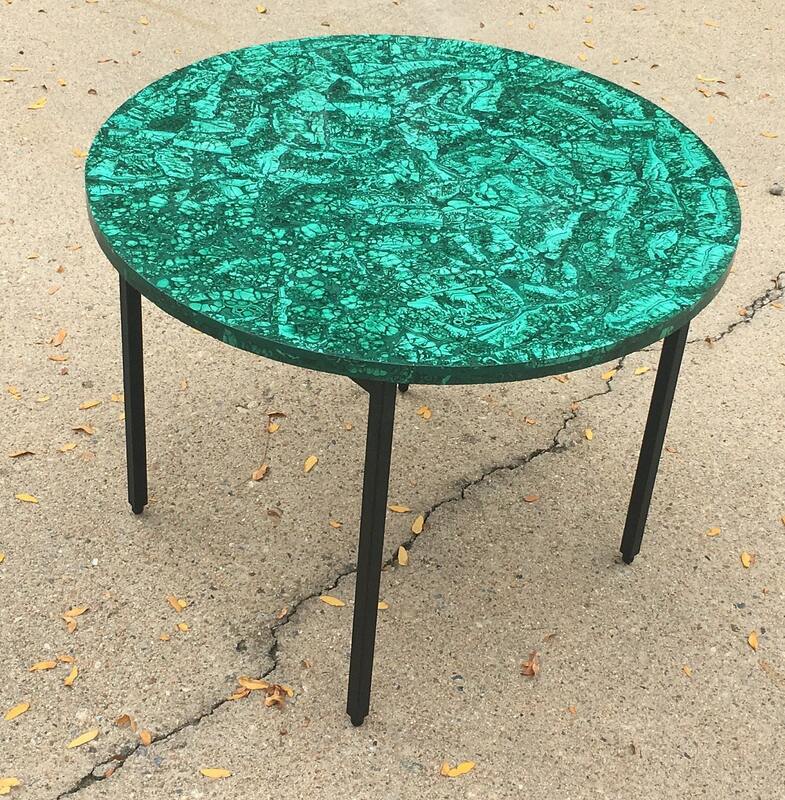 Free delivery in the 48 contiguous United States. 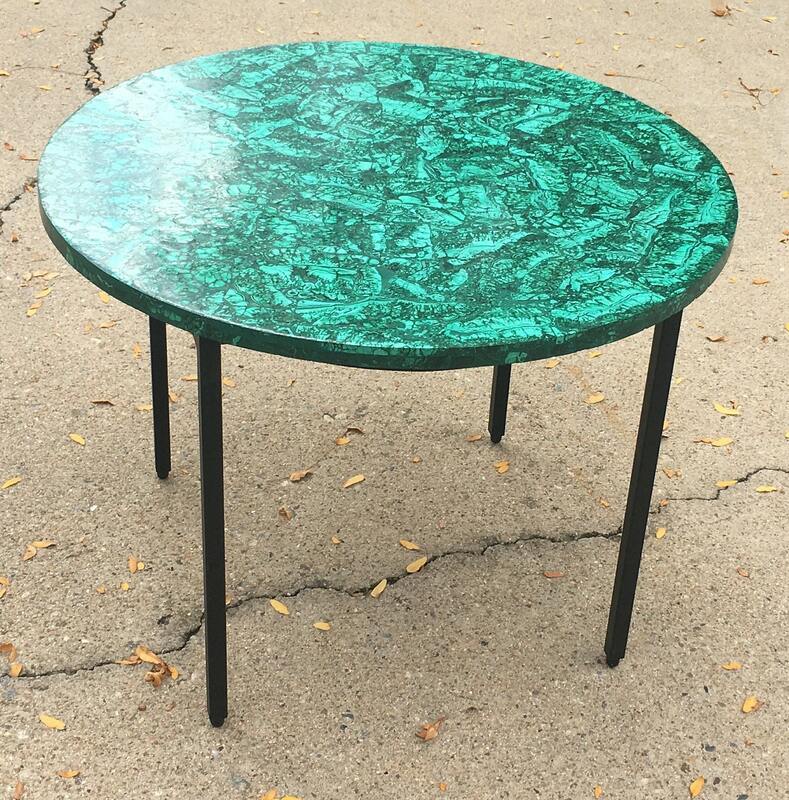 Enquire about costs to ship by fedex to Alaska, Hawaii, US off shore territories, and APO's.